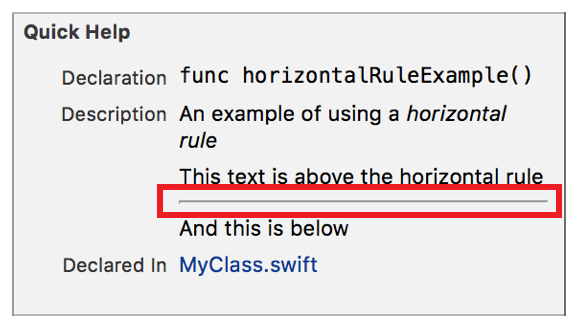 Display a horizontal rule on the page. Insert a horizontal rule by using three or more hyphens (-), asterisks (*), or underscores (_) on a line that is surrounded by empty lines. Each of the characters is the same for a horizontal rule. Whitespace between the characters is ignored.